Added improved SmarterTanks system by alarm9k! German engineering showcase mission by Jaki! Regular: mapContentXXX defined and disabled enemy visible on map view. Veteran: mapContentXXX defined and disabled for all. Disabled scoreboard and kill messages. Reduced precisionAI defaults considerably (0.2->0.1, 0.5->0.2, 0.7->0.25, custom 0.5->0.2). Custom difficulty level by default has maximum skillAI. Note: These only become active with a new profile! Ragdoll Overhaul thanks to venom.226! Major revision for FW-190, P-39 and Ju87 by LAXemann! 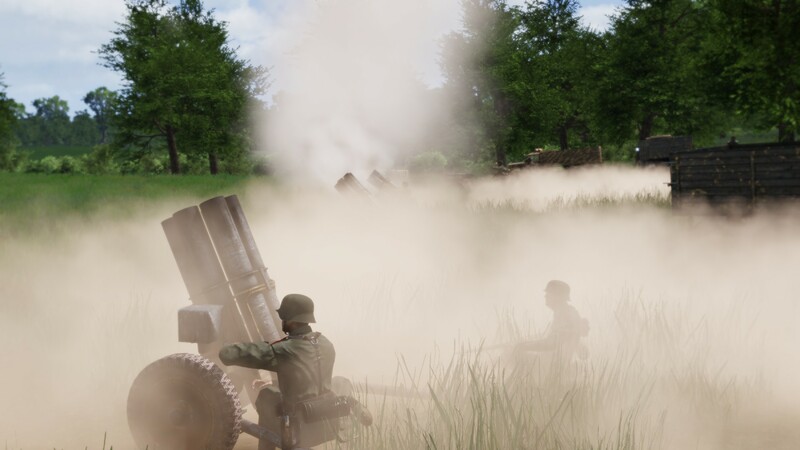 New sounds to Nebelwerfer thanks to scars09 and Gunter Severloh! 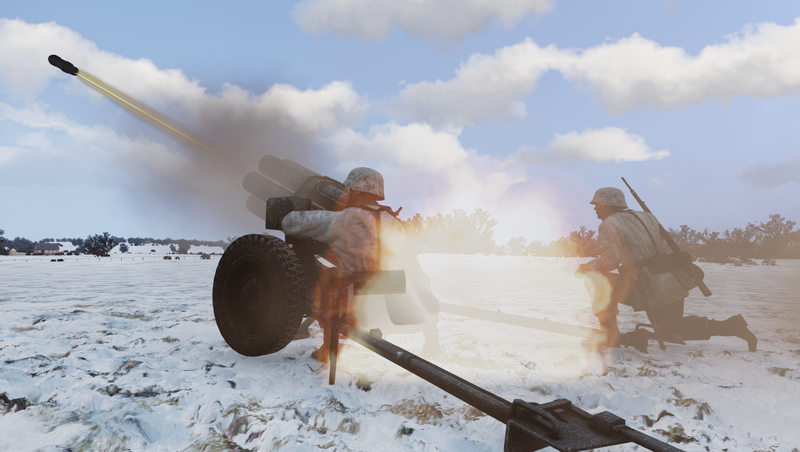 Dropped system to reduce MG firing frequency at distance - AI gunners go crazy now! Dunkirk Bray Dunes 1940 by swurvin! Major redesigned Merderet V3 by swurvin! 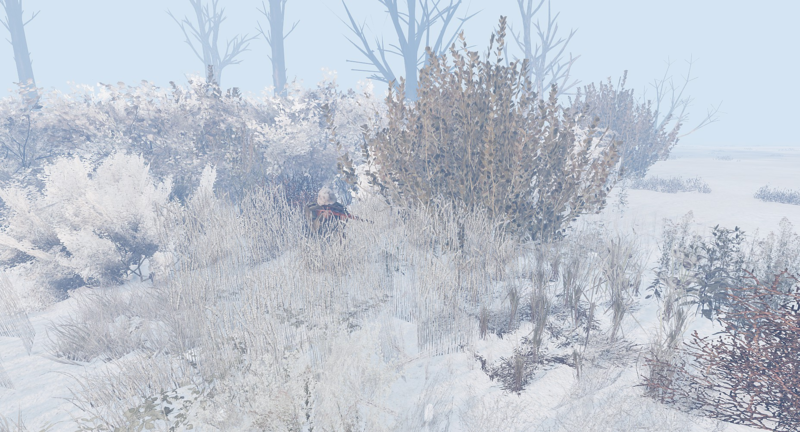 Updated Ardennes 1940 and Ardennes 1944 Winter by swurvin! Late war Kar 98k by petrtlach from CSA38 Team! New Kar 98k given by CSA38 Team! Improved new MP40 by petrtlach from CSA38 Team! MP 38 given by CSA38 Team! 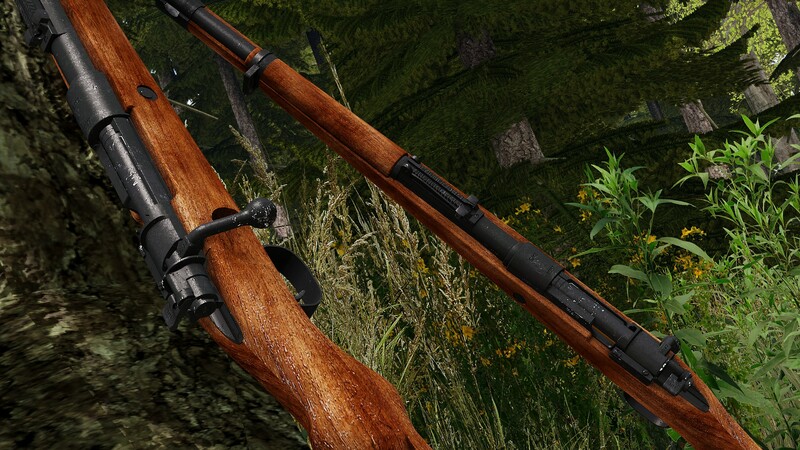 C-96 Mauser given by CSA38 Team! Walther PPK given by CSA38 Team! New F1 Grenade given by CSA38 Team! 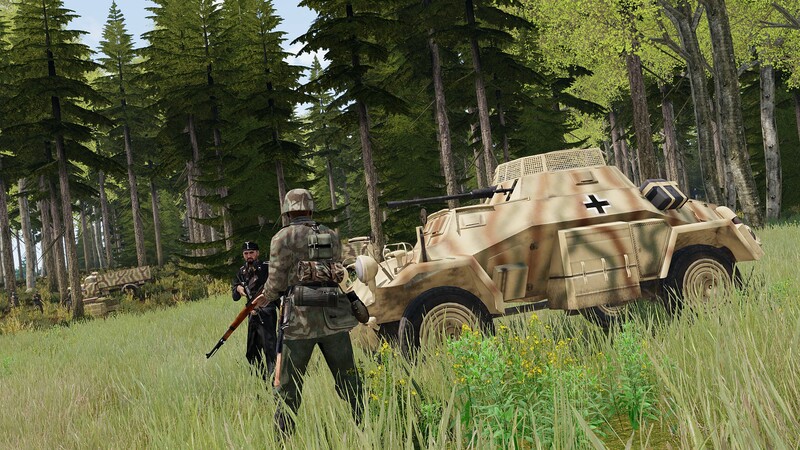 SdKfz222 Gelb and camo versions of SdKfz 222 by Diabolical! 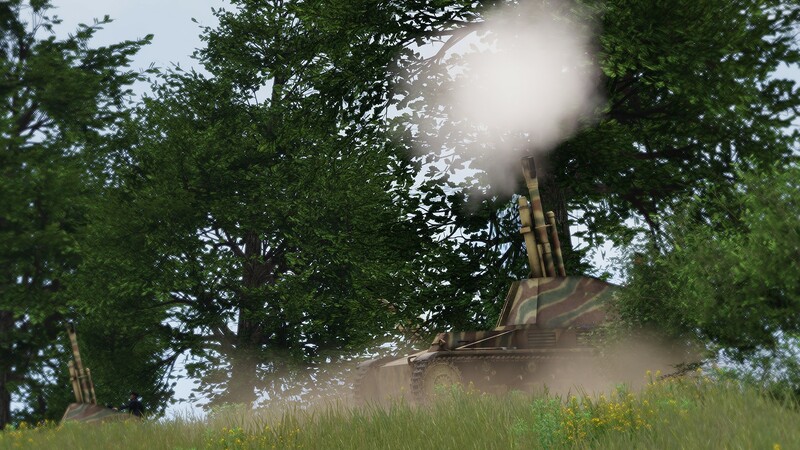 SdKfz234 series (Autocannon, Puma, Stummel, Pakwagen) by Diabolical! 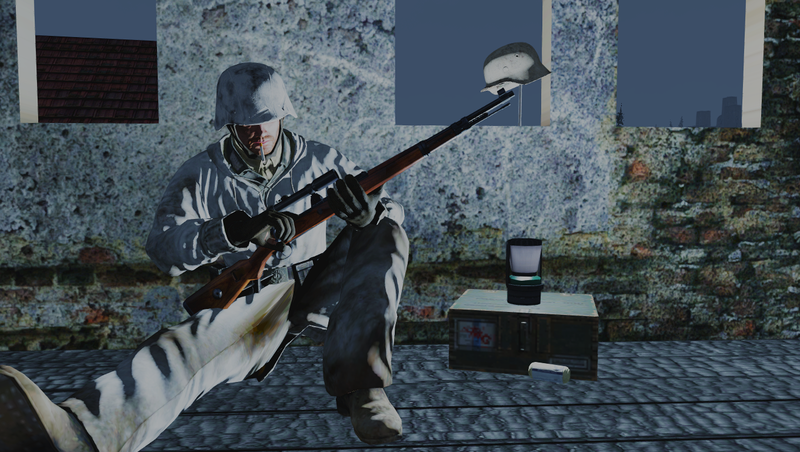 New German M42 Stahlhelm set (9 models - 19 textures - 30 Virtual Arsenal variants). 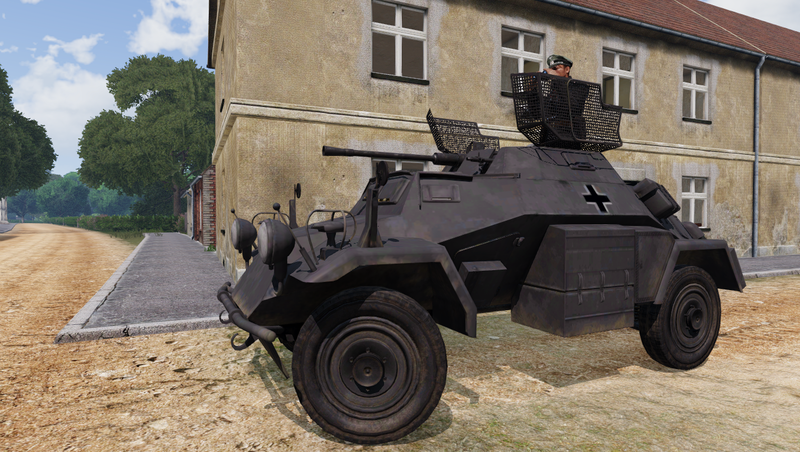 SdKfz124 Wespe - original model by I44 Team - now with interior! 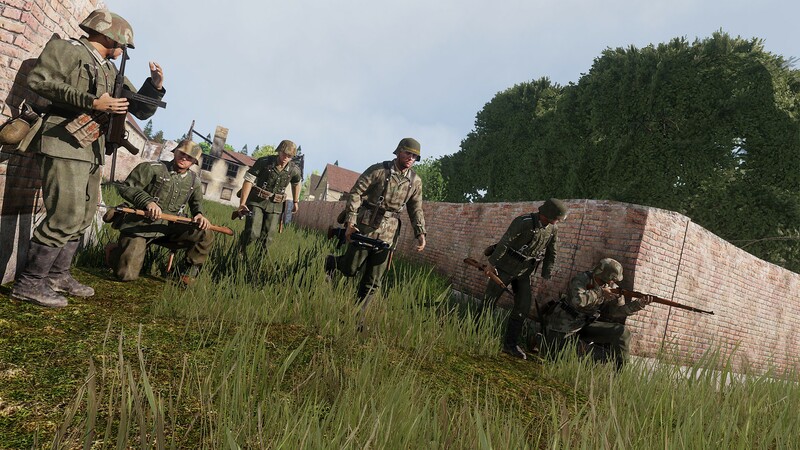 US army infantry and clothing with HQ textures thanks to LODU! Some German backpacks with HQ textures thanks to LODU! for their major efforts with this update, along with the assistance of austinXmedic, Justin N. and Jeg0r! Basher, Athena, Zhivets and ShiftyzZ - masterful! Irishman, Schwienyy, MitchDB, Test and JK was much appreciated! Full credit and appreciation for LODU's work with the US Airborne vests and uniforms! Blitzkrieg or a “lightning war” is a military strategy that was used by the German army back in The Second World War to achieve fast victories with minimal casualties, long before the enemy managed to mobilize and deploy his main forces. As the Blitzkrieg pierced through the Ardennes forest of Montherme and Sedan, the new terrain Bray-Dunes expands the battlefield alongside the massive stretch of beach from Dunkirk. This area was one of the main evacuation sectors for the British Expeditionary Force and French troops in the largest infantry evacuation operation during WW2. It is a 5x5km terrain with a cell size of 5 to allow micro terrain. 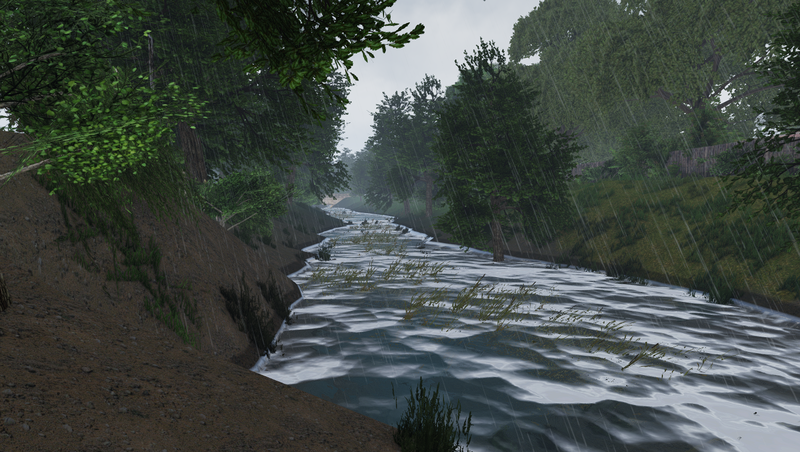 A small canal river separates multiple sectors of the terrain forcing armor and vehicles to use the bridges which makes for great objectives to hold or capture. 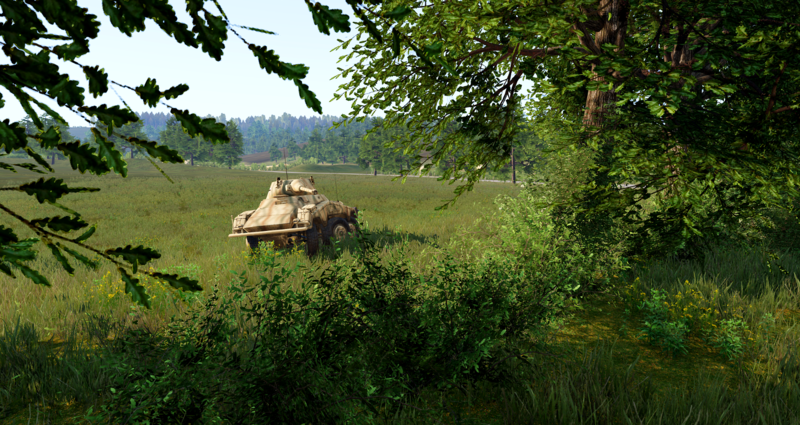 The terrain holds around five urban town areas with custom road signs and large areas of open fields with raised bocage for limited sight into the next field making for good infantry combat. 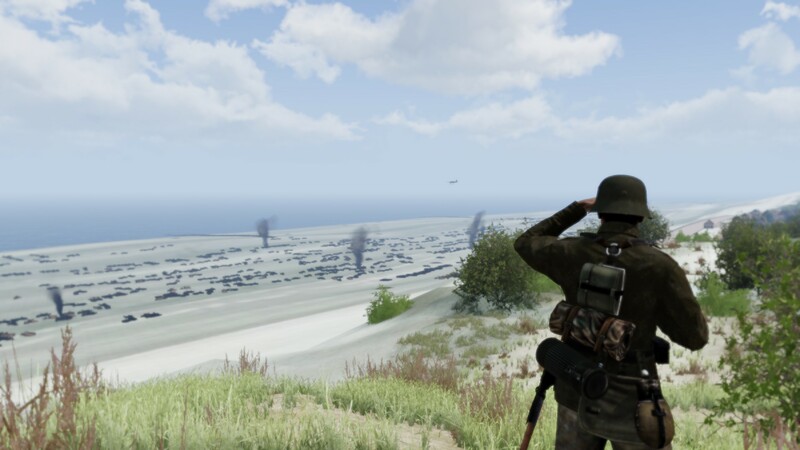 This terrain was created by the Invasion 44 team for Arma 2 depicting the Merderet River in France during the allied landings in 1944. The river was targeted by American Airborne troops during D-Day and they were dropped on either sides of the river to capture bridges in Chef-Du-Pont, Saint-Mere-Eglise and Manoir de la Fière. 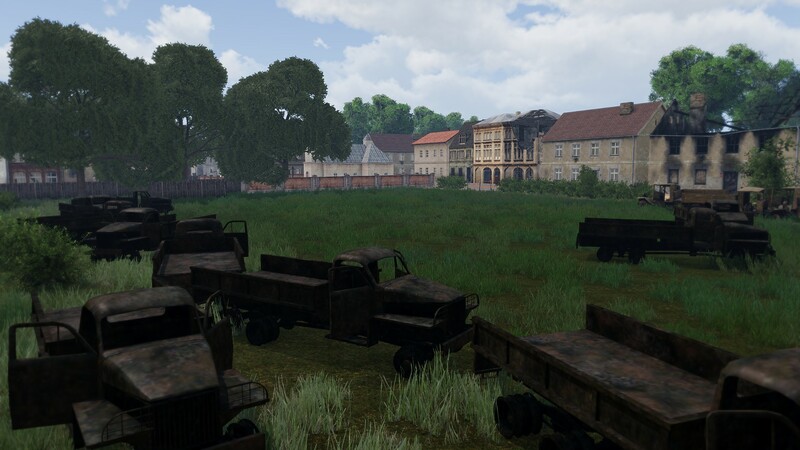 This new version is completely revised and brought to Arma 3 quality levels with new textures, massively improved height map changes for infantry combat, anti-glider poles and pillboxes in selected fields with around 4-5 new urban town areas. 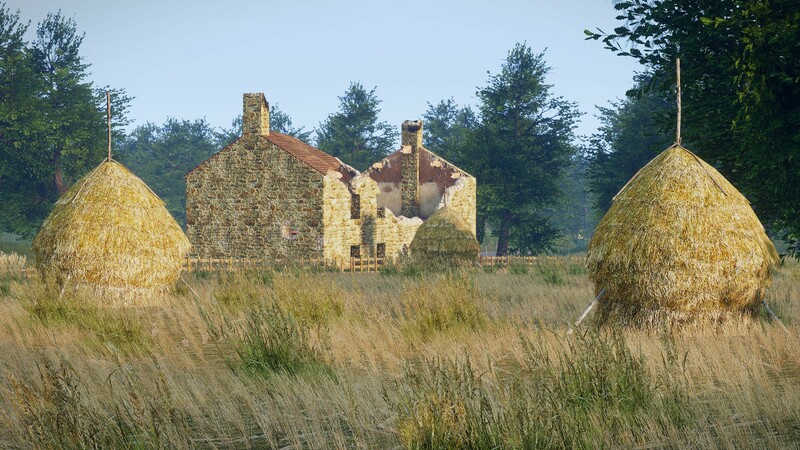 Most of all the main town of Chef-Du-Pont has been totally remade with new ground textures and IFA3 buildings. This small town along the river Meuse deep in the Ardennes forest was one of the locations that was attacked during the invasion of 1940 and also occupied by both sides during the winter campaign in the Ardennes of 1944. The bridges were the main priority and were captured by German panzer divisions in quick succession along with the bridges in Sedan. This is a 10x10 terrain with cell size of 5 based on real heightmap data of the area and historical photos. 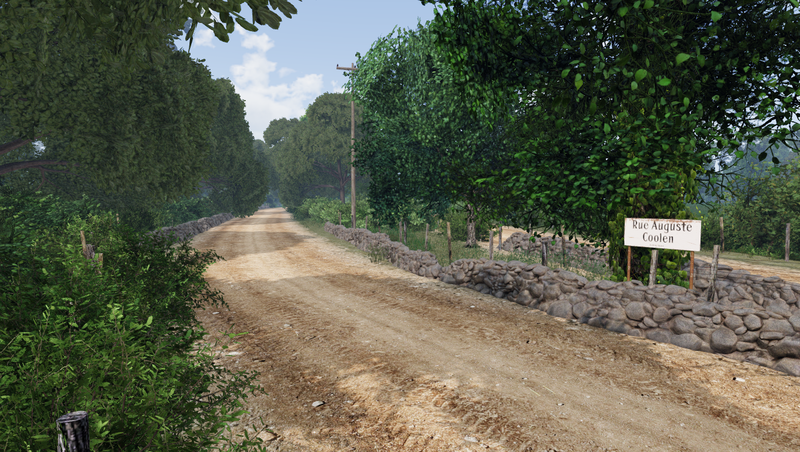 Some edits were made to the layout and roads to provide for more interesting missions and combat. It contains 12 urban town areas, 5 major bridge crossings and vast areas of pine forests and farmland which provide great armored warfare and infantry combat with the new cell size and height map changes. 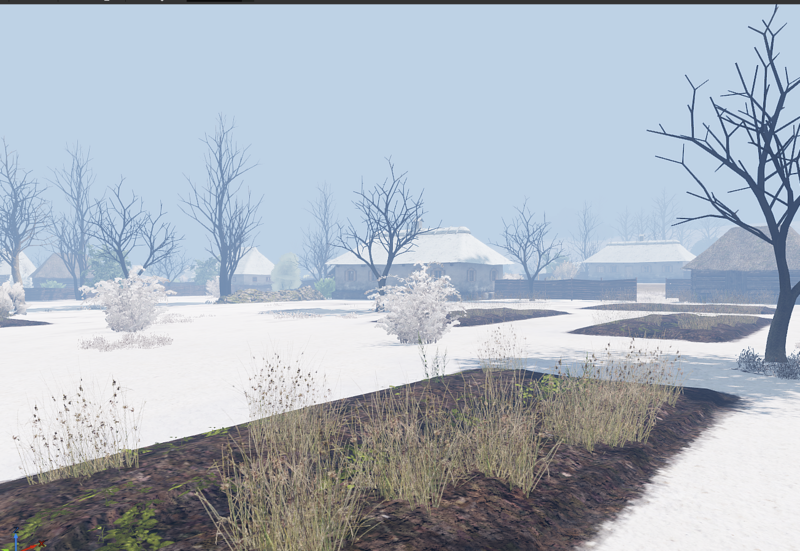 Winter Montherme is set 4 years into the future and with this update now contains multiple defensive lines, bunkers and 2 Flak batteries with slightly upgraded textures, custom signs and a pontoon bridge which fills in for the destroyed stone bridge in the main town area. Before bringing in the main forces you need to have a good understanding of what you’re up against. 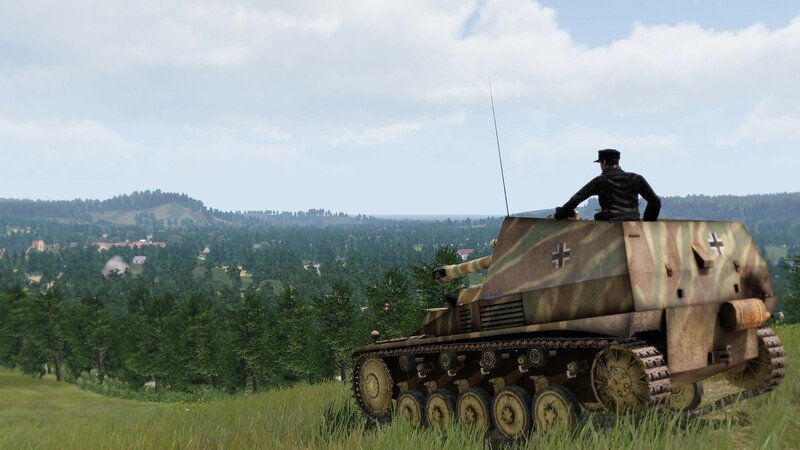 To achieve that you need a fast and discreet recon vehicle and Sd.Kfz 222 is your best choice! The Sd.Kfz. 222 is a light, 4x4 armored reconnaissance car that comes equipped with a powerful 2 cm KwK 30 autocannon, full interior and multiple camouflage options. 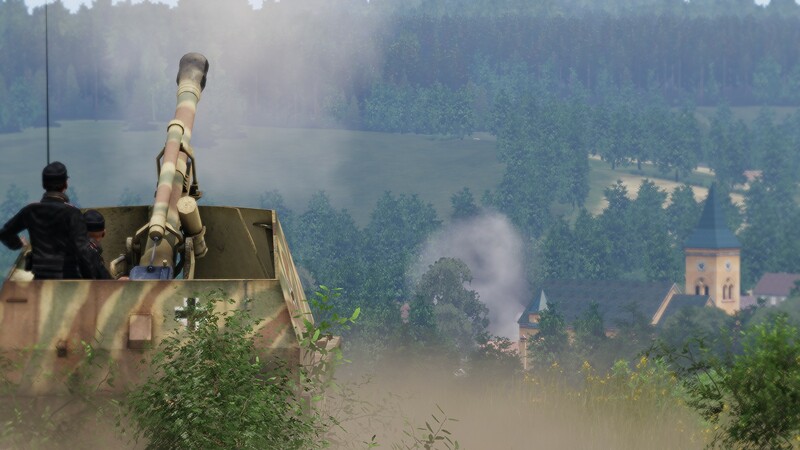 During Blitzkrieg it is important to penetrate the enemy lines with a swift and powerful charge and to rush deeper into the enemy territory not dealing with heavily fortified areas, but encircling them, destroying their command posts and cutting their supply routes. 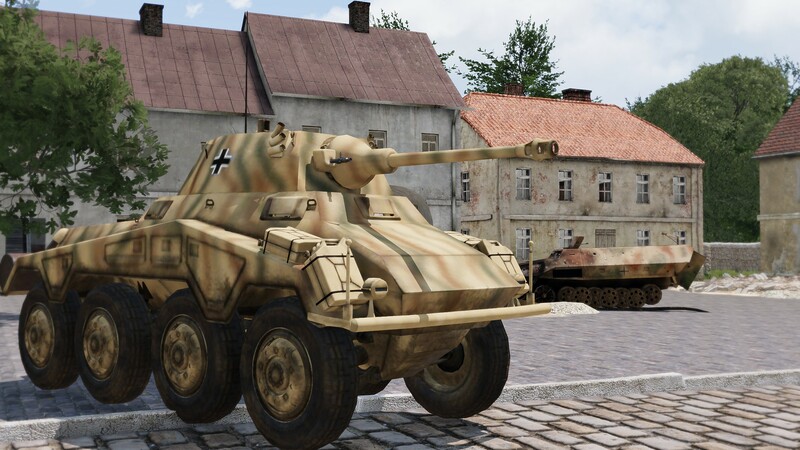 For this task the brand new Sd.Kfz. 234 in four variants are now available. They all have the same base but different weaponry and all featuring a full detailed interior and realistic handling. Sd.Kfz. 234/1 "Autocanon" - armed with a 2 cm KwK 30 autocannon in an open turret for dealing with enemy infantry and light-armored vehicles. Sd.Kfz. 234/2 "Puma" - armed with a 50mm KwK.39 gun for a slightly more serious tasks. Sd.Kfz. 234/3 "Stummel" - an infantry support and assault variant armed with a short-barreled 7,5 cm KwK 37 howitzer. Sd.Kfz. 234/4 "Pakwagen" - an antitank variant armed with a 7,5 cm Pak. 40 AT gun. 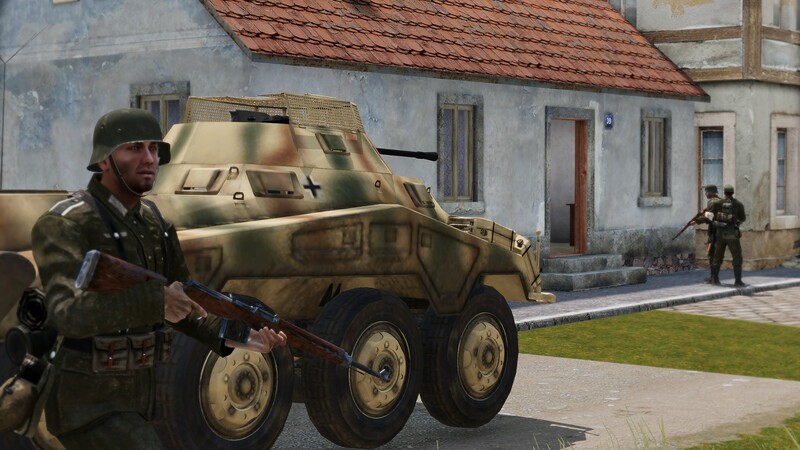 High speed, great off-road performance and impressive weaponry for all your Blitzkrieg needs! The Sd.Kfz. 124 Wespe - This German self-propelled gun which was built on a Panzer II chassis, is armed with a devastating 10,5 cm howitzer that can shoot a 15 kg shell on a more than 10 km distance! The hostile force is still not devastated? Perhaps a salvo of the moaning Minnie can cheer them up? 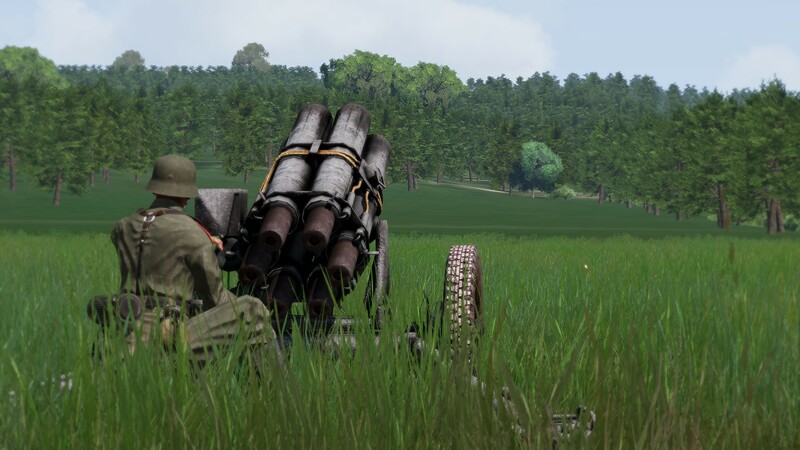 Meet the Nebelwerfer 41 - a 6 barreled 15 cm rocket launcher capable of firing 6 rockets in under 10 seconds. No doubts, your enemies will run away straight after they hear that sound! Just like the Sd.Kfz. 124 Wespe this model originates from Invasion 1944 and it comes with four different colors to choose from. 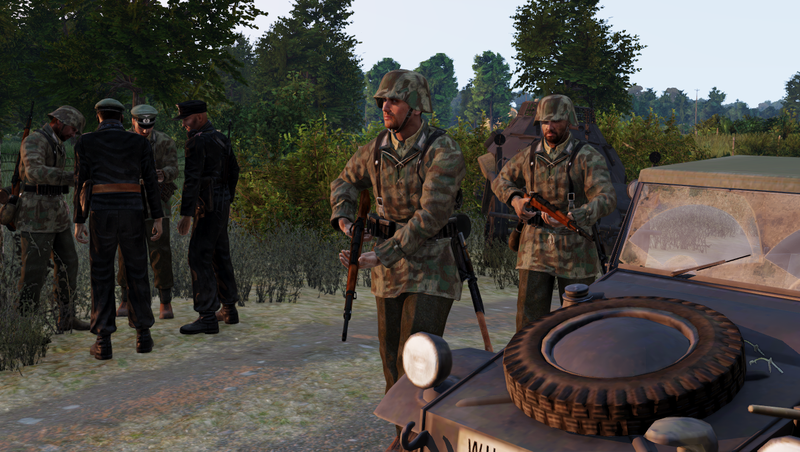 For a close combat fighting petrlach from CSA38 mod kindly provided us with a new model of the one of the most iconic submachine guns from the Second World War - MP40 and its older brother the MP38. The MP38 was used during the early days of World War Two and helped develop the MP40 into its final state. Those models now replace the old AWAR IF models. 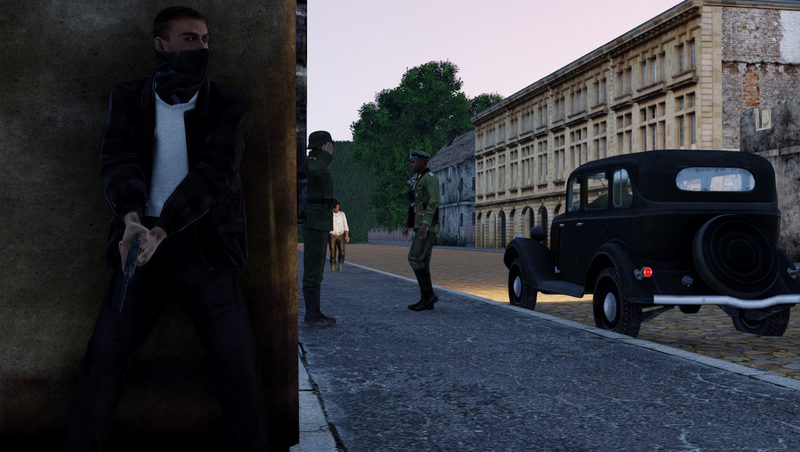 Is the enemy is too far away for your MP40? 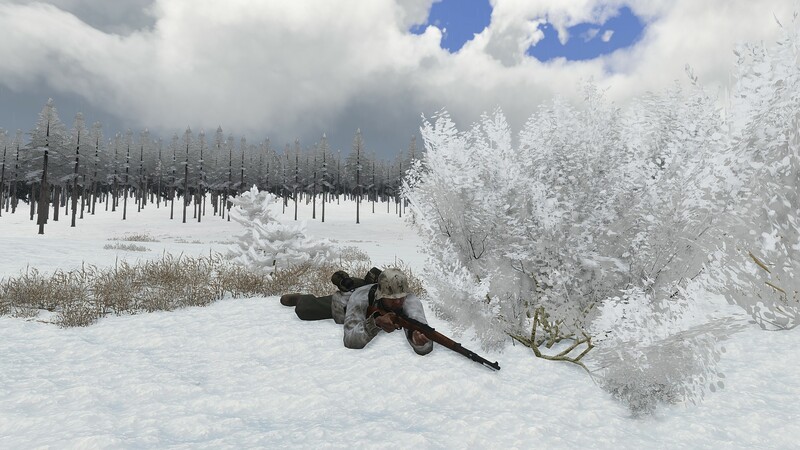 Petrlach and CSA38 team thought of that too and provided us with new Mauser K98K models. The Mauser Kar98k was the standard issue rifle for the German armed forces during World War Two and one of the most precise rifles of that time. Two variants are added, an early war version and a late war version. 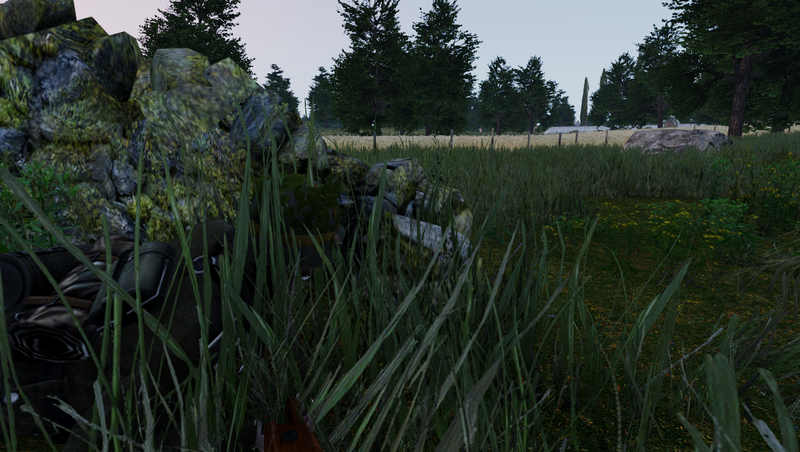 Our team slightly reworked their textures so you have visually different guns if you are using CSA38 alongside IFA3. If something goes wrong during those intense face to face fights, you can always rely on your secondary weapon. 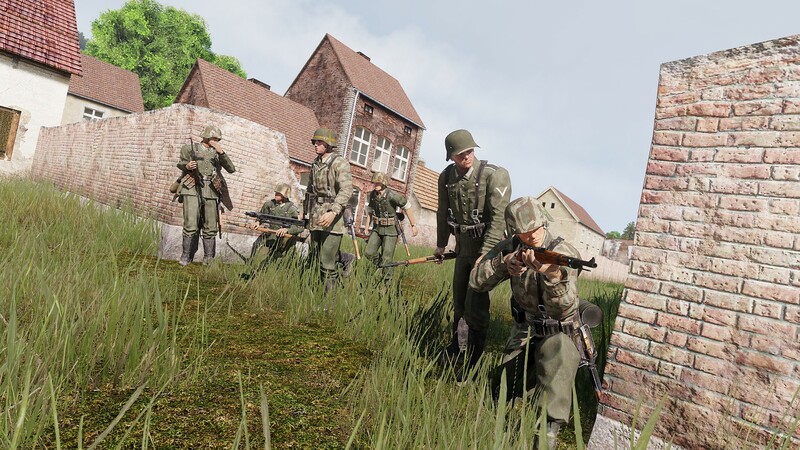 Walther PPK & Mauser C96 are also coming in this update, again, provided by the CSA38 team. Individual gear is almost as important as the weaponry - during the battle, you must look strong, frighteningly, determined and feel comfortable in your boots. 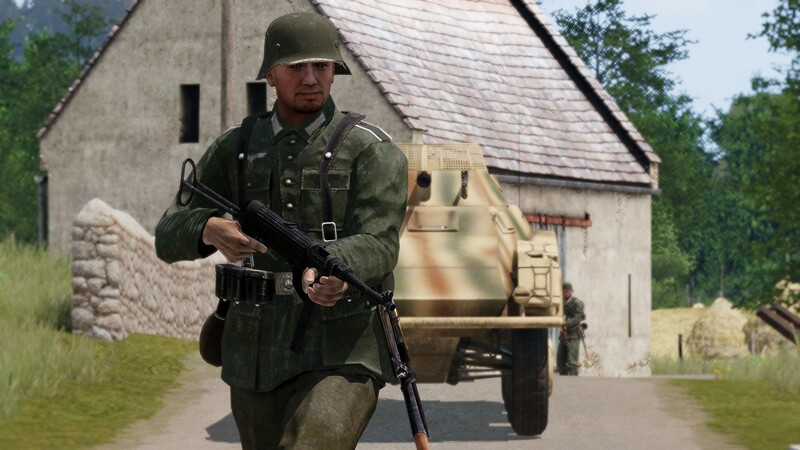 For that reason our team improved all of the German uniforms with new textures and added more uniform variants. As for the helmets, they have been completely re-done model wise and texture wise. Adding over 30 new variants! 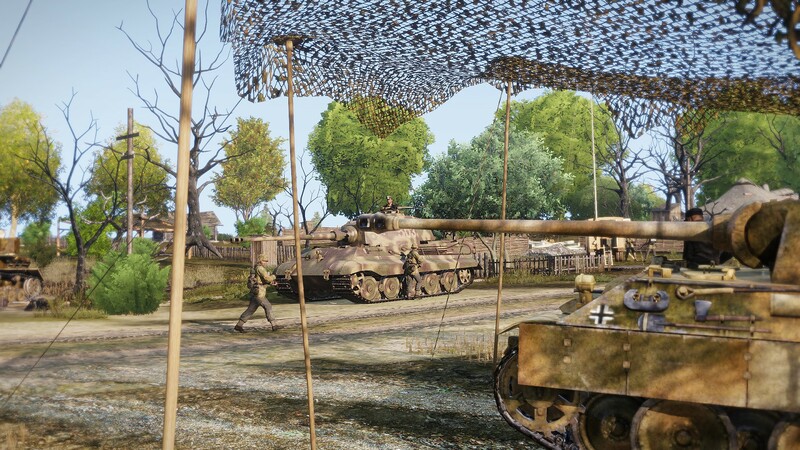 This showcase will introduce you with German Panzerwaffe battle tanks - choose between Panzer IV, Panzer V (Panther), Tiger I and Tiger II (King Tiger) for your mission. 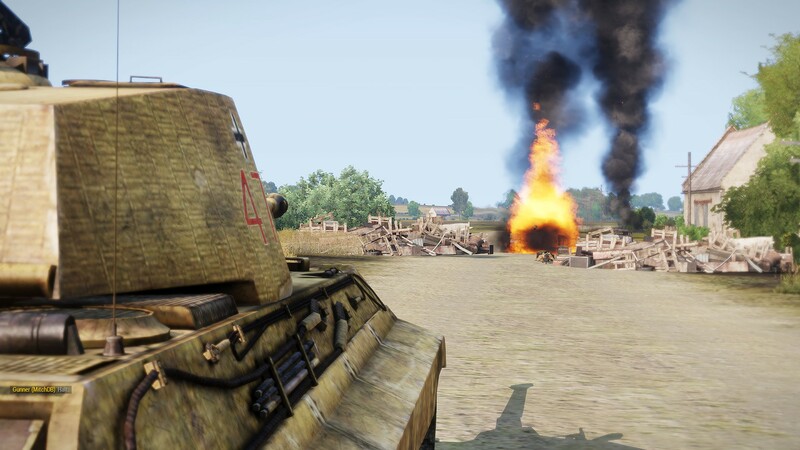 Charge your tank through several layers of enemy defences to complete your main objective: Capture and secure the Soviet airfield. Every one of them has its weaknesses and strengths - so choose carefully both your tank and tactics. The Luftwaffe upgrade brings even more fear towards the enemy! 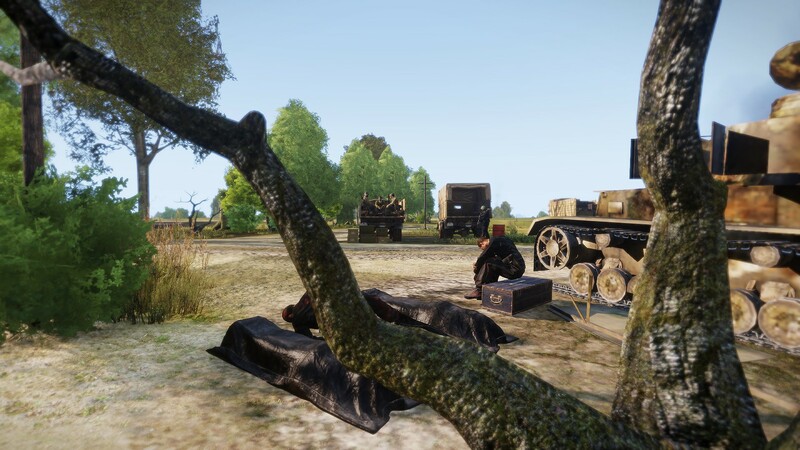 For a more enjoyable experience playing with AI, the tank and vehicle crews have received extra training in the bootcamps and are now ready for their service. Additional training is also scheduled also for other parts of the army in the coming weeks. Highcommand has ordered some changes to the battlefield engagement rules - review them before going into battle! 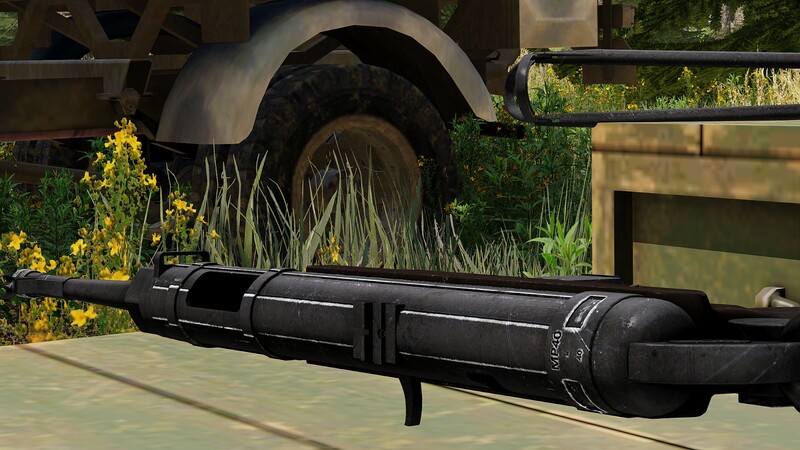 Developed by alarm9k this makes AI tanks and armored cars, face targets head on to avoid exposing their weak spots. In addition the stop the vehicle to allow accurate shoots to be fired. Before this happens the system determines constantly the currently most dangerous, known threat and selects the most approriate weapon or ammunition accordingly. Once all threats are taken care of the AI will continue on its previous assignment. Now it's time for you to get to front - los geht’s! Unfortunately due to some mistakes on our side and misunderstandings the author has asked us to remove all his work from the project. With much regret but believing in ownership, copyright and most importantly the wishes of the people actually devoting all their time to create these works, this hotfix 1 is following suit to this request and hotfix 2 to be available in a few days will complete the operation for the remaining optimization work more complex and much harder to revert. Full backwards compatibility ensured: No changes to missions necessary, everything will continue to work without interference. 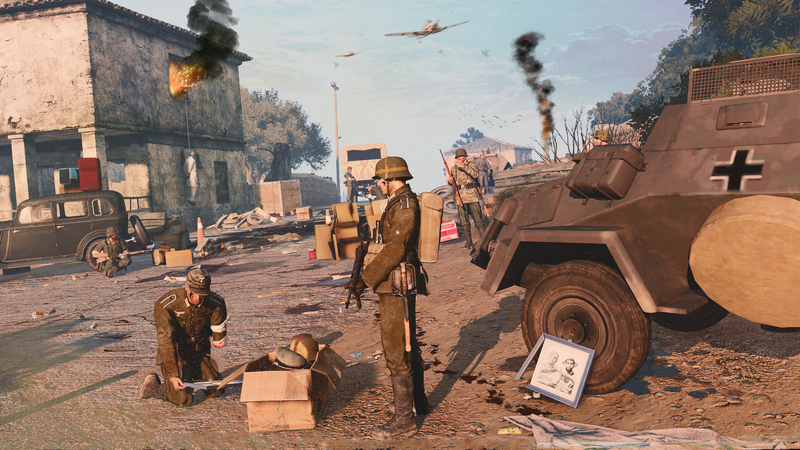 All US Army and Airborne infantry models, uniforms and vests, and most backpacks are removed, as well as some German backpacks. 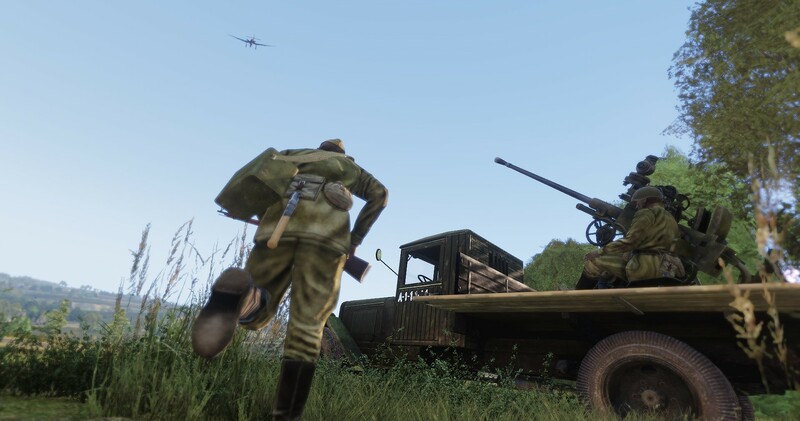 Distance model optimizations for all IF/AWAR tanks are removed, as well as all optimizations from the US gliders (Horsa and WACO). 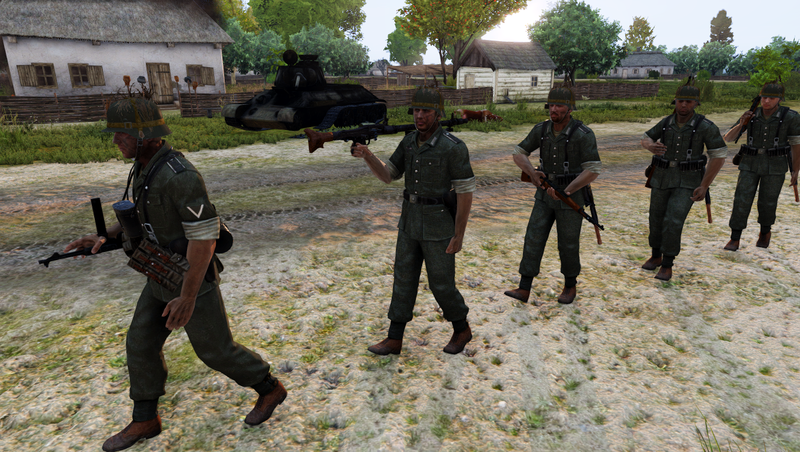 For now the US models are using the US tankist model and uniform, a German vest and the M36 musette as temporary workaround. 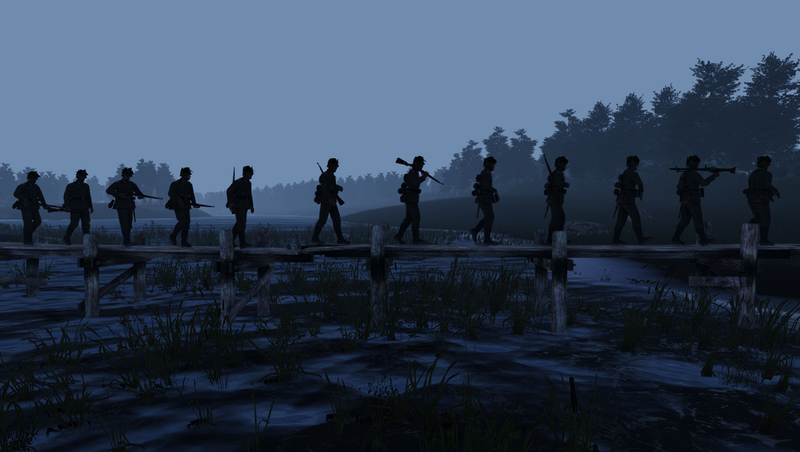 The German backpacks are using the A-Frame backpack for now. In the near future we will provide a full replacement for the now missing assets. 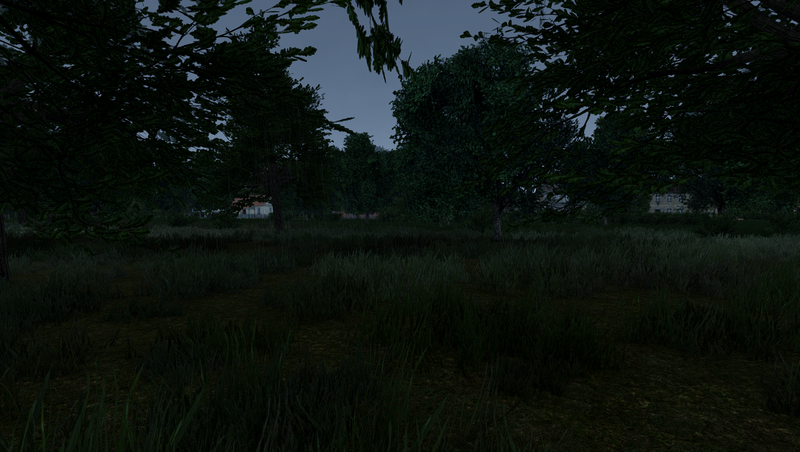 The optimizations will be redone in similar fashion in the upcoming weeks as well. Please refrain from commenting on the matter. The damage and disappointment is already big enough. Your voice lacks the insights into the matter and will not be able to contribute in any meaningful way. Thank you! Stay tuned for a lot more content and improvements to come! Thanks to Shvetz! Image by Schwienyy. PS: Winter is coming early this year!